In less than a year, Buendia Food by the Court has already established itself as a favorite foodie destination and hangout in Makati City. Launched early this year by SUDECO, the unique food park, which also houses a basketball court, started out with 13 merchants. Today, BFBTC has a total of 27 merchants serving a variety of unique, mouthwatering food concepts. 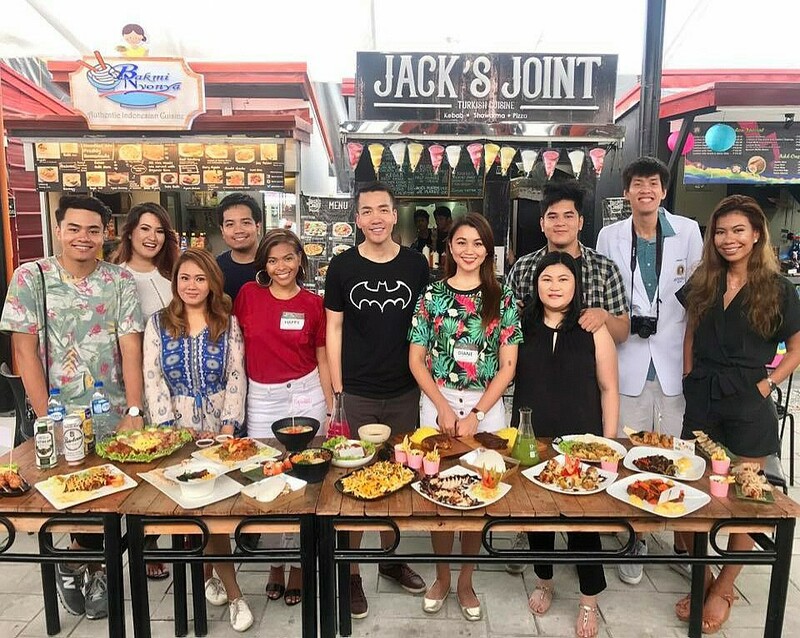 The first of its kind in Makati, Buendia Food by the Court is an extensive food park with its own basketball court, located conveniently in the middle of the metro. Whether you want to burn a few calories post binge, work up an after-game appetite, or you simply want to chill with friends in a hip, laid back environment that just happens to offer some of the best grub in the city, BFBTC is your best bet. Buendia Food by the Court, with its wide variety of curated food options, has something for everyone. I've featured and introduced Buendia Food by the Court in another post, which you can read here: Buendia Food by the Court: Food, Fun, and Basketball, and the next few blog posts will focus on each of the food stalls that we tried that afternoon. I love Korean food, I’m addicted to Samgyupsal, Japchae and Gyeran Mari (Korean egg rolls)! So I was glad to find there’s a stall at BFBTC serving my favorite Korean dishes. RJ's Bowl-Gogi serve different Korean rice bowls such as Bulgogi, Bibimbap, Grilled Pork Belly, Bingsu, sandwiches, desserts, etc. We only got to try their Bibimbap and I’m not complaining because it’s one of the good ones I’ve tried. Some consider Bibimbap as the ultimate comfort food; it is probably one of the most popular and beloved Korean dishes even though they’ve never been to Korea, like myself. Bibimbap simply means mixed rice with meat and assorted vegetables. There are many variations to this dish depending on someone’s preference and dietary requirements. My favorite is the variety Dolsot Bibimbap but I’m ok with what we tried from RJ’s Bowl-Gogi. Their version contains fluffy rice, bean sprouts, some greens, carrots, beef strips, fermented cucumber and sunny side egg. I love how when I mixed my bowl, the egg was runny and all the flavors came together so well. A hint of pickling of the cucumber also didn’t upset the gentle, undemanding balance of clean flavors. Who Run The World? Girls in High Heels! Applebee's Philippines: New dishes on the Menu!